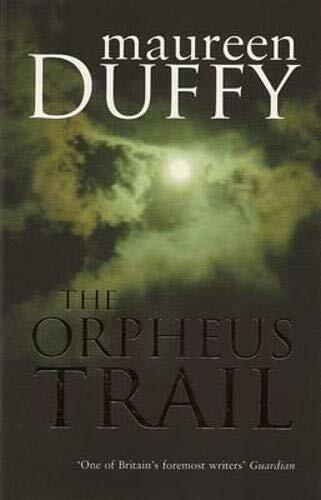 The Orpheus Trail by Duffy, Maureen: Arcadia 9781906413651 Trade Paperback - Dufour Editions Inc.
Synopsis: When a child is found dead among the charred remains of a pier fire, surrounded by the old-fashioned toys of the Greek god Dionysus and a ritualistic fire basket, Detective Inspector Hildreth calls in the local museum's curator, Alex Kish, to help him decipher the mysterious symbolism. Soon afterwards an ancient Saxon amulet is stolen from the museum and the dead bodies of young boys begin to turn up arranged as grotesque works of art with components of the gold amulet around their necks. The enigmatic Detective Inspector draws the curator into a strange web of ancient secrets, pagan ritualism and the illegal trafficking of young boys. Have the boys been murdered? How have they got there? What is the meaning of the symbols? And most of all who is responsible and why? The Orpheus Trail is a tense thriller where Hildreth and Kish are caught up in a race against time to interpret these ancient codes and clues before death claims another young life. About the Author&colon; MAUREEN DUFFY is a notable contemporary British poet, playwright and novelist. Her first novel, written at the suggestion of a publisher, That's How it Was (1962), was published to great acclaim. To date she has published 30 works, including five volumes of poetry. Her Collected Poems, 1949-84, appeared in 1985. Her work has often used Freudian ideas and Greek myth as a framework.